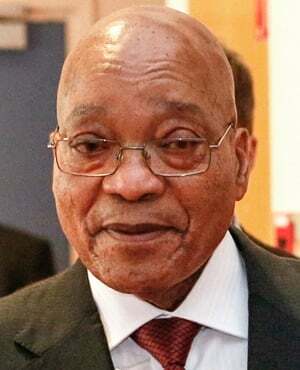 Cape Town – The Council for the Advancement of South African Constitution instituted legal proceedings against President Jacob Zuma at the Constitutional Court on Friday over his failure to sign the Financial Intelligence Centre Amendment (Fica) Bill. The Fica Bill was passed by Parliament in May 2016 and submitted for Zuma’s to sign on June 13, but he has yet to sign it. “He has neither assented to and signed the bill, nor referred it back to the National Assembly for reconsideration based on any reservations he may have about its constitutionality, as is required by section 79(1) of the Constitution,” explained Casac executive secretary Lawson Naidoo on Monday. As such, Casac has instituted proceedings to secure Zuma’s compliance with his constitutional obligations. Casac wrote to Zuma on September 19 2016, urging him to comply with his constitutional obligations within 30 days, failing which it would approach the courts to intervene and to order his compliance. “The 30-day time period expired on Monday October 31 2016,” Naidoo said in a statement on Monday. “Casac has now approached the Constitutional Court for an order declaring that the president has failed to perform his constitutional obligations and ordering the president to either assent to and sign the Fica Bill or, alternatively, to refer the Fica Bill back to the National Assembly for reconsideration. Speaking to Fin24 on Monday, Naidoo said Zuma “commitment to fight corruption was rhetoric rather than taking action”. “The bill seeks to strengthen the regulatory framework to combat money laundering and the finance of terrorism, and bring South Africa into line with standards set by a global body, the Financial Action Task Force (FATF). Zuma is considering objections to the bill, which will allow the Financial Intelligence Centre (FIC) to monitor the transactions of politicians, their family members and other politically connected individuals in the private sector. BDLive reported in September that the Progressive Professionals Forum (PPF), led by former government spokesperson Mzwanele (Jimmy) Manyi, petitioned Zuma to not sign the bill into law. Zuma’s spokesperson Bongani Ngzulunga confirmed to Bloomberg in September that Zuma is considering the merit of the objections, but pointed out there is “nothing unusual” about the process. Manyi said the bill violates the constitutional rights of affected South African citizens – “the so-called domestic prominent influential persons and their families and associates”, Manyi said in his objection letter to Zuma. The PPF is concerned that the draft legislation would transfer the judicial authority from law enforcement agencies into the hands of banking and financial institutions. Manyi also argues that individuals’ freedom of association would be in jeopardy if the bill is signed into law, as the listed occupations may discourage individuals from “aspiring to play their roles”. The Fica Bill will no longer have a one-size-fits-all approach, so that when banks are involved in large-scale transactions that raise suspicions they are duty-bound to provide greater diligence and understand the transactional details, Naidoo said. It is exactly this provision that irks the PFP. “Banks should not be allowed to be prosecutors, judges and executioners at the same time,” Manyi said. Presidency spokesperson Ngqulunga said it was nothing unusual for the president not to sign bills into law immediately. “A number of bills have not been signed into law as yet, such as the expropriation bill, the private security industry regulation amendment bill and the protection of sate information bill for the exact reason that parties petitioned the president about their constitutionality," he said in a statement recently.